Rising from the murky depths of the indie video gaming genre surfaces the 2008 RPG known as OFF by Unproductive Fun Time, a French group led by head game designers Mortis Ghost and Alias Conrad Coldwood. Having been recently translated for the English-speaking audience, the game takes place in an alternate world where the player controls an unknown entity named the “The Batter”. The player follows the baseball-cladded protagonist on his mission to “purify” the enchanted world from evil by traveling through the game’s different zones and battling the grotesque creatures, or spectres, that inhabit them. The more you progress through the game, the more it is revealed that everything is not what it seems. On paper, that’s about it. In fact, OFF appears to be your typical obscure indie game that tackles deep issues through the simplicity of its platform and game designs. However what makes the game rise above the stereotype is its ability to overcome the clichés through its player interaction, gameplay, and overall presentation. The importance of the player is what OFF first tackles. For instance, the game begins by requesting a name to be manually entered. After completion, players are then introduced to their character of The Batter. 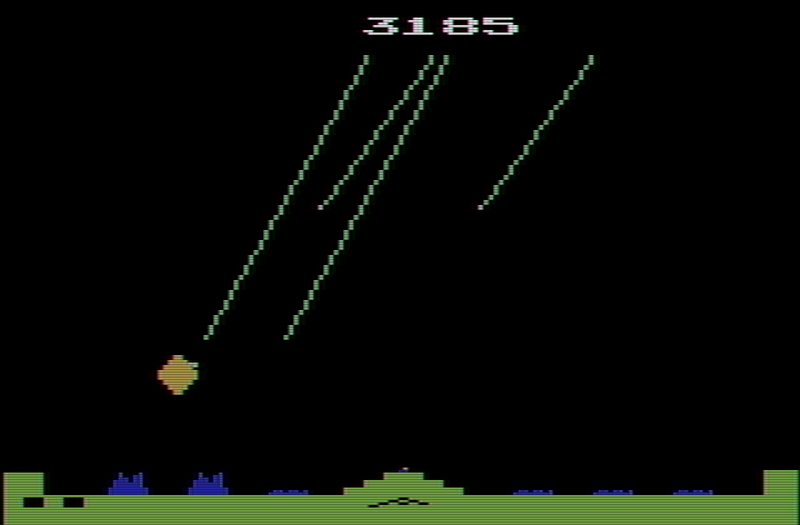 However no further directions or information are given; in fact, the controls are found only within the game’s downloaded folder in a text file. The player then must take the time to learn the instructions outside the game rather than through standard on-screen tutorials which most games include. 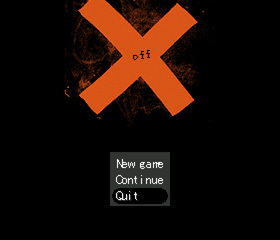 Already OFF is signaling the gamer’s full attention to the entirety of the game, wanting them to utilize elements both inside and outside the RPG. The game not only stresses awareness from the player, but even awareness to the players themselves: after the player is introduced to The Batter, they come across a side character called The Judge, a chesire-cat creature complete with a creepy toothy grin. The Judge gives the initial impression that he merely serves as the game’s tutorial for how to battle; but as demonstrated before when registering a name, instructions within the game tend to come with a small twist. In this case, The Judge does not only relay the instructions to you but also calls out the gamer’s presence, even using your registered name to address you. Other characters within the world, and even The Batter himself, also break the fourth wall in such similar fashion. This concept of awareness instills the atmosphere of the game, foreshadowing the game’s weird and eerie format. Futhermore you, the player, are brought down to the level of the video game character rather than simply being the one who controls the game. OFF makes you believe that you are just as part of the game as the characters are. Cats will be cats, even the creepy ones. The characters alone do not compose the atmosphere of game but also many other elements, most important being the gameplay. Three gaming mechanics compose the entirety of OFF: character interaction, puzzle solving, and purifying. “Purification” refers to the central fighting system within the game; the battles are of the RPG format where the player is given the choices of ‘attack’, ‘auto’ (where the computer takes over), or flee. Yet the game continues to add its twists even in battling: during the fighting tutorial, The Judge remarks on the cowardice of fleeing and thus removes the action’s capability. 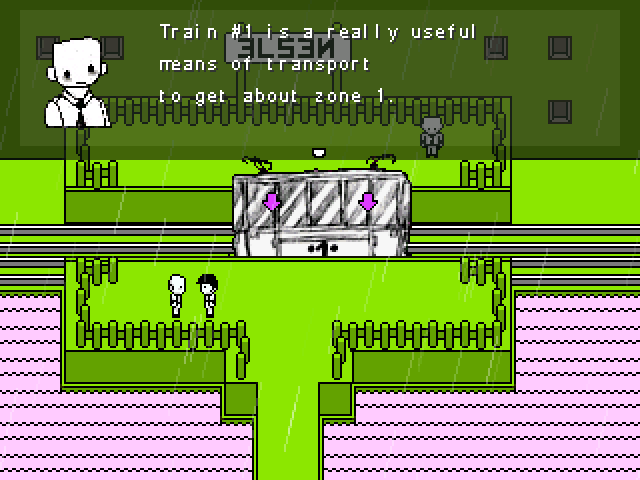 In simple terms: the player can never flee. By taking away the freedom of the player’s choice, OFF continues to emphasize the role of the gamer–that it is not only you who controls the characters, but they equally control you. Lastly, what ties everything together is the aesthetic elements of the game. Both art and music create the lasting player emotions with each changing zone and conquered enemy. Artwise, the levels and characters are based around the theme of grayscale, using warmer and cooler colors to add more (or less) feeling to a specific zone or battle. For example, as the story progresses the more incorporation of black and red is used. Even the characters of OFF give off an eerie image, incorporating character designs that seem to have been created by Tim Burton himself. Alongside the art, the music only adds more to the creepy factor by incorporating random sound bits of water and even breathing to illustrate the feel of each zone. No matter how weird OFF may seem, it’s definitely a game to try out. The combination of gameplay, story, and art play off each other well, accurately portraying the feel of the game while still engaging the player into the plot. Add in some easter eggs along with a few secret endings, and a player can spend forever exploring the extensive and bizarre world of OFF. What a cool game. I love the idea of a character taking away your ability to flee and taunting not only the player’s character, but the player themselves. This reminds me of the Disgaea franchise in terms of dark, self-referential humor. This game looks really good but and the it does have a dark an gloomy kind of vibe from its art style. The art style might not be the best but the way the characters are represented it almost seems as though they intentionally made to go that way in order to with that concept of darkness. The trailer on the other hand was pretty interesting. It used an old early 20th century song that only added to the murkiness of that the game seems to try to portray. Overall the game looks fun and also looks similar to the game someone posted earlier, Oíche Mhaith. Maybe it’s just my brain trying to stretch the superficial connections between two 8-bit top-down story-driven RPGS, but reading about OFF has reminded me a great deal of the Mother series. Both are stylized quite differently for sure, but the main connection I made that is relevant to your article is the implementation of the actual player, via the input of their name, into the realm of the game. In both of the titles I’ve played, Earthbound (Mother 2) and Mother 3, the player is given an opportunity, albeit an optional one, to break the 4th wall and tell an inquiring higher power their name. This has an impact on various elements of the game, including changes in the ending scenes (namely the Giygas fight in Mother 3). While I’m not sure this takes agency from the player like OFF, it creates a similar outlet for the player to join the space of the game on a personal level. It’s also worth mentioning that the battle mechanics in both titles are more often than not mixed up beyond the fundamental combat elements, though once again I don’t think it is with the same intended impact on the player as in OFF. Also Ness can have a baseball bat, so he could also potentially be considered a batter? My apologies, I was so certain this was going to be a more substantive comment when I started typing.